The Farm Miniature Jersey feels the quality of our stock and our service is best expressed by our clients. Here is a little of what they have to say about their experience with The Farm Miniature Jersey. Dear The FarmAfter many months of planning and several visits to The Farm as well as figuring out the travel logistics, the girls finally arrived. It was quite a long journey for them from your stable to their new home here on Kauai, but happily they arrived safe and sound. Dear The Farm,Congratulations on your website. We really enjoyed you, your incredible staff, and your ranch is fantastic. I have been around cattle for many years and did a lot of research before we chose to make the trip all the way from Arizona to New York. Well worth it! 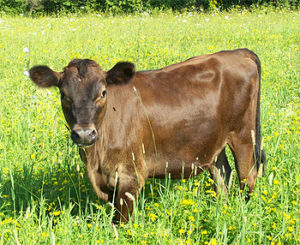 Kelly, our Jersey Heifer we brought home from your place is awesome! 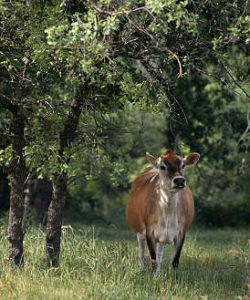 She is the quality of miniature Jersey that I have been looking for to start our herd. Must have quality to give quality. I’ve had many people tell me they can’t believe that we went that far to pick up a cow, well when you want the best you do what you have to do to obtain the best….Hollzy and Kate M.
It was nice to hear from you, I appreciate you staying in touch to keep up with the progress of our miniature jersey cow we bought from you. We named her Alma after a good friend of ours who convinced us that Mini Jerseys were the way to go. She has turned out to be a lovely cow and we are very happy with her. She is almost 3 years old and she is going to be a Mom!.. We are happy that she isn’t real big; we are guessing she is 38 inches tall, we haven’t actually measured her. I love her color and hope her baby has the same coloring and disposition. We will stay in touch more often and hope all is well at the farm. Hi The Farm,Enjoyed chatting with you the other evening. I am enclosing another copy of the letter that I sent you last June for your review and use if you like. Fortunately it was still on the computer, after I spoke to you I had that sinking feeling that I had deleted it, but wha-la! We have spent much time with him, handling him, getting him used to his feet being handled, teaching him to tie, lead, load into a trailer, socializing him at every opportunity (he has done a couple of church functions for little kids to pet, and what a thrill that has been both for us and for them! 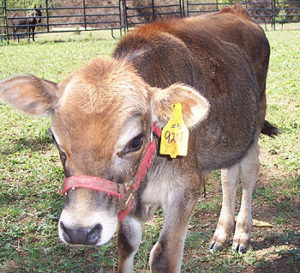 There are very few cattle in our area and no pet cattle that I know of much less a miniature bull). He just loves being brushed. His testosterone is starting to kick in and he is becoming more attached to being in a herd (vs human attention) so we will keep our fingers crossed that his disposition will stay as tractable as it has been to this point. But he is first and foremost a bull so will deal with whatever comes. We cannot thank you enough for letting us have him. We can hardly wait to see what he produces though that is still a couple of years away. Virgil and I would be very interested in a heifer calf whenever you have one available (preferably not of the same breeding as Juli for the obvious reasons). I haven’t had a chance to send you a letter to tell you how Babe has been. Babe is part of the family-we love her! When she sees the kids she comes up for treats-they spoil her. They take her for a walk a few times a week. 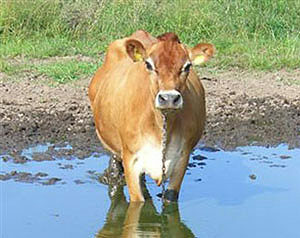 She loves to walk in the pond-maybe she wants to cool off. Thank you for allowing us the opportunity to own such a nice cow, she has changed our lives!….Cynthia, Ray, Dennis, Patty, and Babe. return when the weather is warmer. Thanks for the little bull. He is doing great and the kids love him. I think he will be a pretty small bull when matured. I looked through my pictures and I couldn’t find one with him next to the kids. So I am going to take a good picture in the daylight when I get a chance. (You can see better how small he is when compared to others.) For now I am sending a picture of him by himself. He’s great. Our family really enjoys our little Jersey. Thanks for everything. 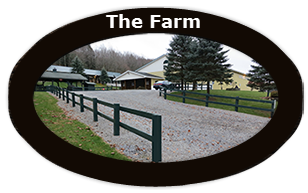 Dear The Farm,I live near Syracuse, NY and spoke to you a couple of times on the phone. I appreciate the calm and “unrushed” manner of our conversations. I’m just starting with the miniature cattle and I needed some help. We have Black Angus cattle and we are starting to purchase miniatures. I was looking for a calf and you recommended we take a Saturday trip to your farm, which we did. The place was easy to get to and your signs were great! Your place is beautiful and we could have stayed there for a week to enjoy it. We appreciate your lunch and your hospitality. We are thrilled with the calf, and our trip home went well. I will continue to do business with you and want to thank you for everything.